When planning a trip one of my most favourite things to do is to figure out what we’re going to eat. I know, my head is always in my gut… or is it my gut is always in my head? Any how, I try to keep the recipes light and healthy and of course the process simple regardless of how I am travelling. 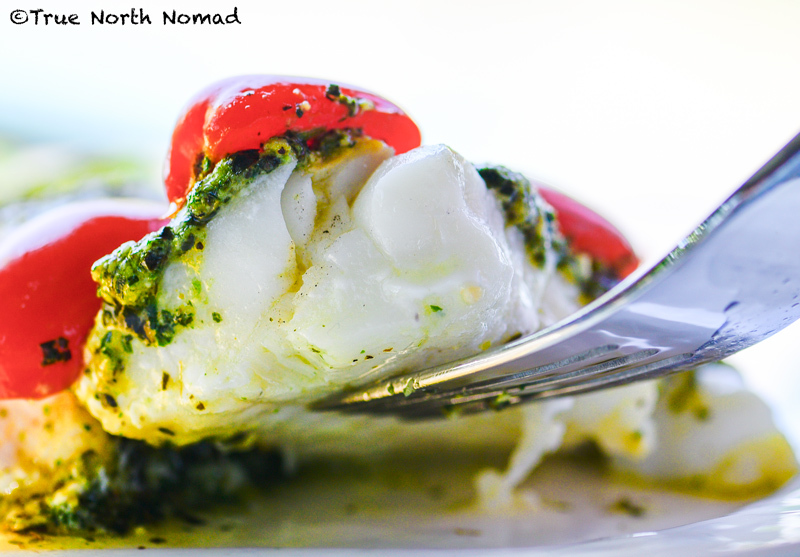 During a recent trip, Q and I prepared this delectable recipe with fresh white fish. When I say fresh, I mean so fresh it was swimming mere hours before it hit our plate. Yep, this fish came right off the boat. No Q didn’t catch it but he did go down to the fish market right after the boats entered the harbour in New Brunswick and picked it up for that evenings meal. What I love about this recipe is it is so versatile. First, you can use any fish you want. 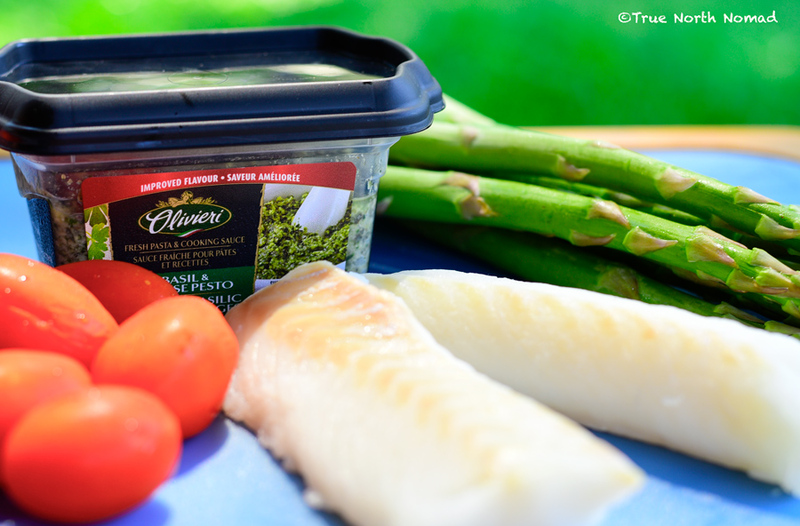 White fish, salmon, lake fish… it doesn’t matter it works with any type. 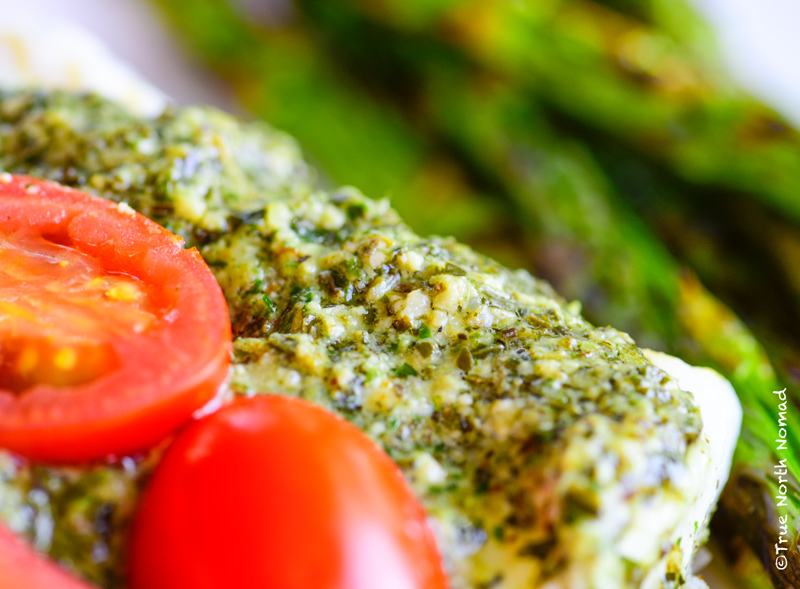 Second, the variations of the pesto are endless. Make your own basil pesto, make it vegan by substituting the parmesan for nutritional flakes or for simplicity use a store bought pesto. Don’t like basil? Use a sundried tomato pesto, like I said – whatever you like. The third thing I love about this recipe is it is so easy! Prepare in your oven, on the bbq or a campfire pit grill. If you are doing the latter make sure there are no flames – only coals in the fire pit. 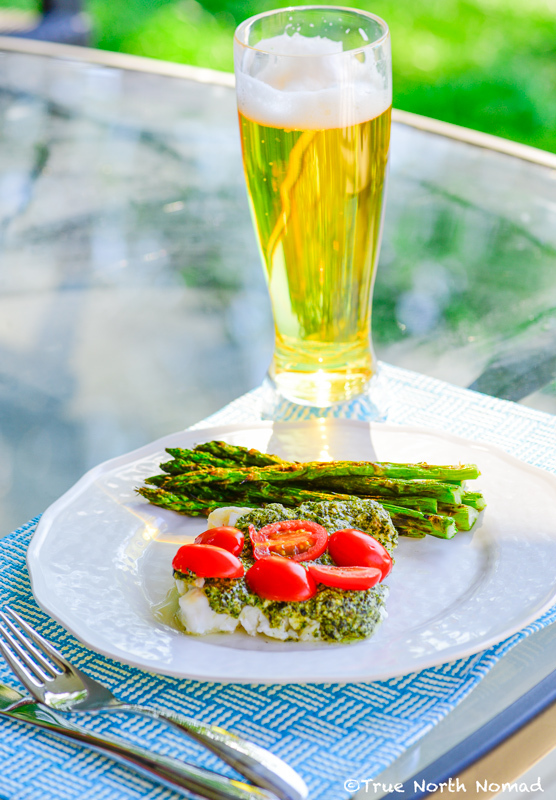 After a day sitting at the computer, hiking or shopping there is nothing better than coming back to an easily prepared gourmet meal, caught fresh that morning. 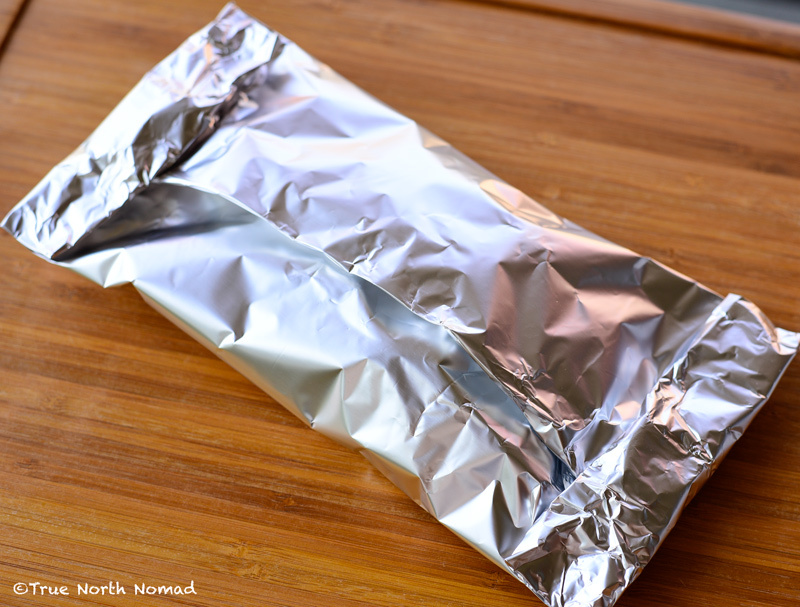 Spray each piece of foil with cooking spray. 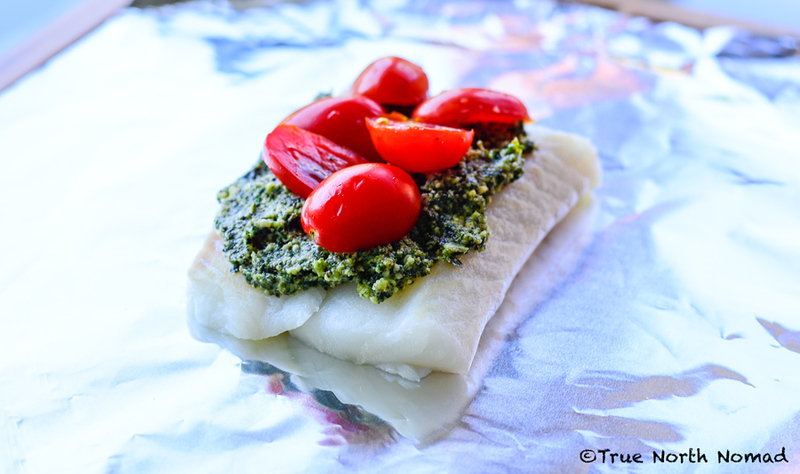 Lay a fillet on each piece of foil and layer with basil pesto and top with cherry tomatoes. Fold foil length wise creating a seal and a pocket. Next fold the width end of foil in a seal again ensuring to keep a pocket. If using light aluminum, add a second sheet in the opposite direction, repeating the process. Remove packet from fire pit/bbq. Open sealed foil carefully, contents are hot and filled with steam. 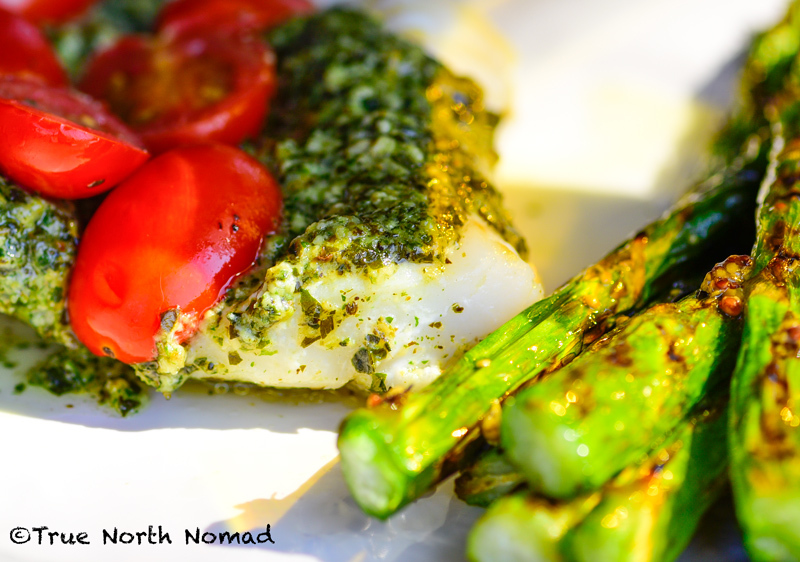 Serve it with some grilled veggies or a crisp salad to complete the meal…. And maybe a tall glass of ale to complete the day. Nothing could be easier. Enjoy! 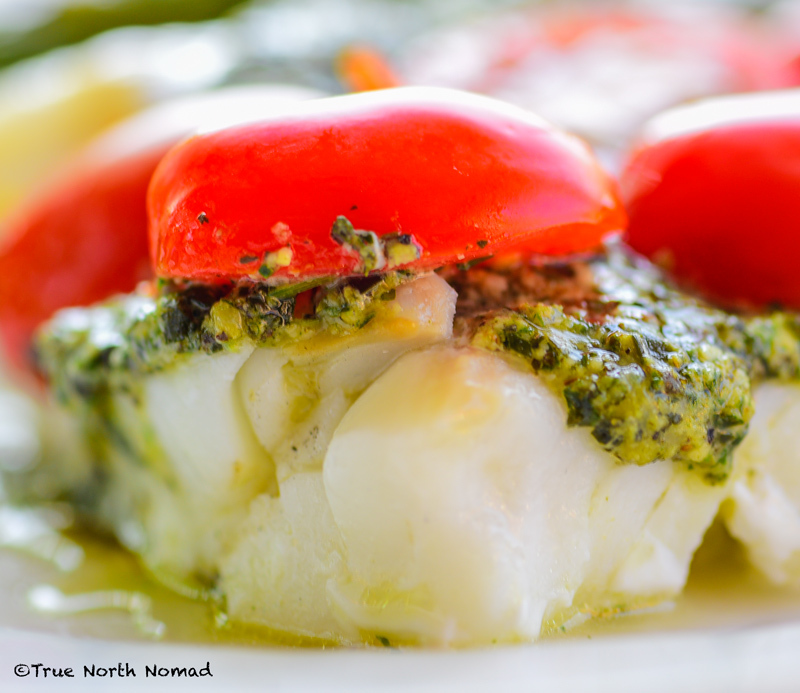 What is your favourite, easy fish recipe? Ok…. You really need to click the blue button in the bottom right and enter your email address. Because I said so! Wow that sounds delicious! Thanks for stopping by! 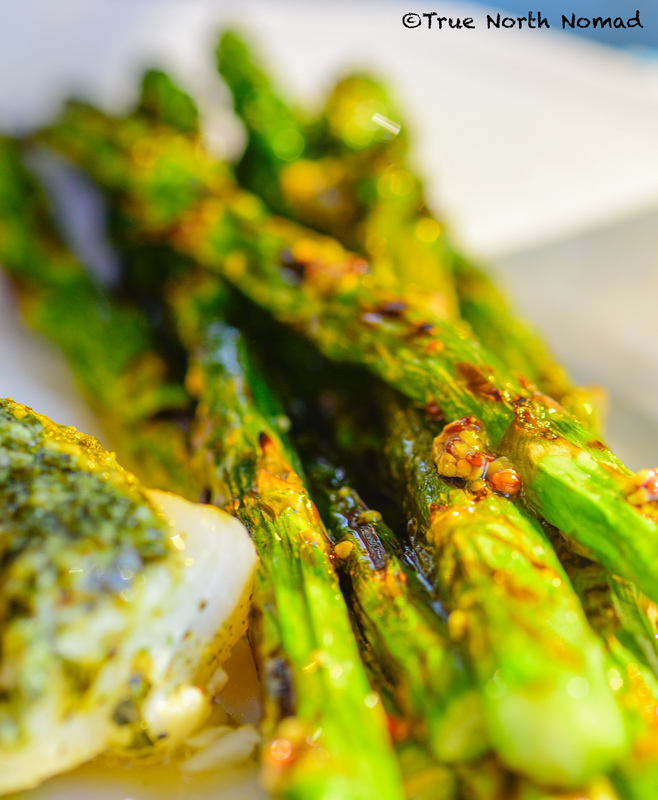 It is so delicious and easy… make sure you try it out!